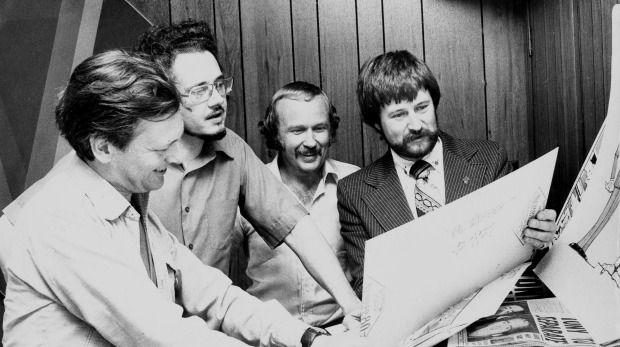 Mike Gibson, centre, with his cousin John Jensen, left, Pat Oliphant and acting editor of the Sydney Sun, Derryn Hinch, in March 1976. In the early hours of the morning I first left Australia for Europe, in 1972, Mike Gibson drove me from the Sydney Journalist’s Club on Chambers Street, Surry Hills, to the ferry terminal near his home in Dee Why. I’d been buying farewell drinks for fellow Murdoch hacks before heading off for the Street of Shame (or so we then thought), and Mike felt I’d imbibed a little too much with my own parting largesse. As it turned out, there was another reason Mike wanted to get me on my own, perhaps suspecting he was safe to say something I’d be too intoxicated to remember. He wanted to pay me a compliment, the sort of thing journos traditionally never said or wrote about one another. Praising a comrade or, indeed, a competitor, was always somehow seen as some sort of sign of weakness. One had to be supremely confident in one’s own ability before starting to chuck about bouquets to others. 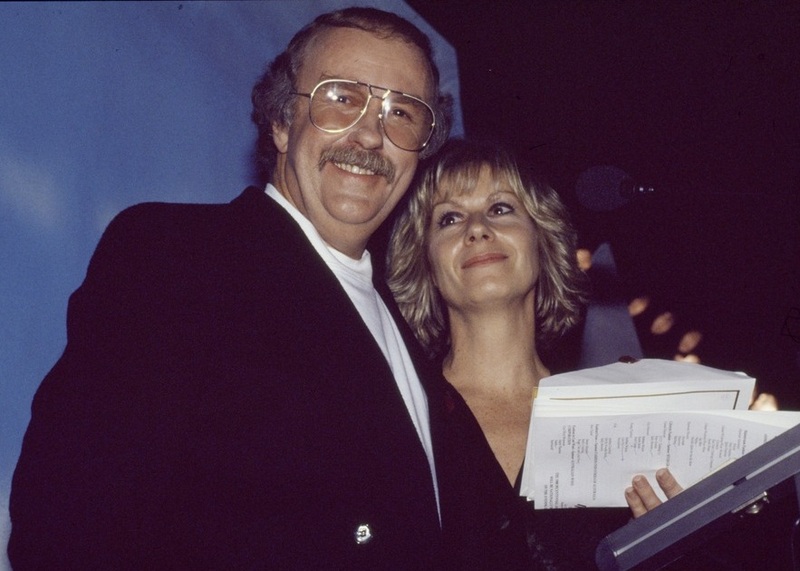 Mike Gibson was certainly outwardly self-assured, but never in my experience was he unbearably cocky. To grasp what I mean about applauding associates, take a look at Bill Burgess’s exhaustive review of more than 2300 American sports writers, 49 online pages of it: At best, these contain retirement tributes, coming too late to be of any value to the retiree; at worst, obituaries – appearing much, much too late to be appreciated by a cold and still subject. It emerged that warm night in 1972 that Mike had been harbouring a need to say something about my coverage of the controversial Springbok rugby tour of Australia more than a year earlier, at the height of protests against South Africa’s apartheid policies. In the meantime the London Times man in Canberra, Stuart Harris, had written a book, Political Football, in which he had outlined the impact of my columns on the subject in The Australian. What Mike wanted to say was, I suppose, something else, a bit of a back-handed compliment in a way. “I will always regret,” he said, “not having had the courage to write what you wrote.” I took it as acclaim, and have cherished and savoured his remark ever since, close to 43 years. Coming from Mike Gibson, especially, it meant a lot. But any compliment, back-handed or otherwise, would do for an aspiring sports writer of 24. A week ago, in the midst of Suicide Prevention Week, Mike committed suicide in his home at Brisbane Waters on the Central Coast of New South Wales. He was 75. He will be cremated at North Ryde tomorrow. The Gibson family, including Galah: an illustration with one of Mike's columns. My first reaction upon hearing of his death was to write my own obituary for Mike, and in doing so to repay, in some small and belated way, the laurel he had handed me in his car in 1972. Little did I realise at the time how little I really knew about Mike’s life – or, for that matter, how little anyone else knew. After a week, I have given up trying to write a proper obituary. I have contacted one of Mike’s four daughters, Kate, who was on her way back to Australia from London for the funeral. I also got in touch with one of Mike’s cousins, the famed English cartoonist John Jensen. I have spoken to some of Mike’s old friends and former workmates. I have re-read most of Mike’s once weekly magazine columns, many containing insights into his family life in the early 1980s. But in the end, I am left yearning to know an awful lot more. This experience has been, as one might imagine, extremely frustrating. But it has also been, oddly enough, enlightening. It has shown me that, even when a famous Australian dies, and we all feel we “know” that person, or at least “know of” him or her, the reality is that we often know next to nothing. It’s as if background information is no longer important, when in truth it tells us what actually shaped that person, before he or she achieved any degree of fame. There was a time when printed newspaper obituaries offered that sort of detail. My library contains books of collections of obituaries (notably from The Times); obituaries were once an art form. Nowadays, it seems all too easy to write a tribute to someone, put it online and leave it at that. These tributes can easily be summed up in just a few words: “He was a great bloke” is more or less what they all say. Anyone who knew Mike Gibson knew that. A proper obituary might have given us insights into things we don’t know, what made him such a great bloke. So I suppose this is as much a lament for printed obituaries as it is for the death of an old mate. It has been revealing for me to read that in the dozens of tributes to Mike which have appeared in print and online across Australia in the past week, none have offered any information about his family or his upbringing, and few have contained any information about his pre-TV and radio career. For me, Mike was and will always be a great Australian print journalist. Beyond that, at least in my book, he was no more than a cheerful voice or a smiling face. He may well have been, in 1978, declared by US industry magazine Billboard as “the outstanding radio broadcaster outside America” (something not mentioned in any of the tributes), but I heard that voice as coming from a man informed by an earlier career in print journalism. That’s what, in TV or radio, ultimately stood him apart – nothing more, nothing less. That Mike Gibson had a greater understanding and appreciation of sport than the average TV or radio presenter, and a more pure and unquestioning love of sport, went without saying – it was apparent in every word he spoke. What few of the tributes have mentioned, however, was his Red Smith-like love of the written word, and the care he applied in writing to express his love of sport. Reading the tributes, one might get the impression this fine writer emerged one day in early June 1940 from under a cabbage leaf in a backyard vegetable garden in North Sydney, and thereafter blossomed, unaided by family influences. Mike once claimed he was conceived by concerned parents the night Australian Prime Minister Bob Menzies declared this country was at war with Germany, on September 3, 1939. 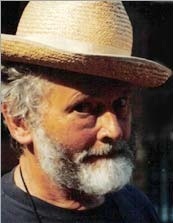 What the tributes ignored was that Mike was born into a family rich with literary aspirations, one well imbued with the finest traditions of King’s Cross, Sydney Bohemia and its push for a distinctly Australian style in writing and illustrating. 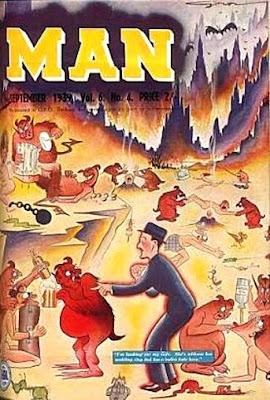 Mike’s uncle was Jack Shirley Gibson (1904-1980) a magazine writer and cartoonist who drew stylish society and other cartoons in a sophisticated modernist-abstract Art Deco style, and who studied Surrealism. His most famous drawings showed his visions of Hell. 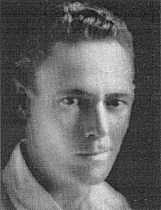 John Jensen (1930-), Mike’s cousin and Jack’s son by his first marriage, started cartooning for the Sydney Sun in 1946 and settled in England four years later. 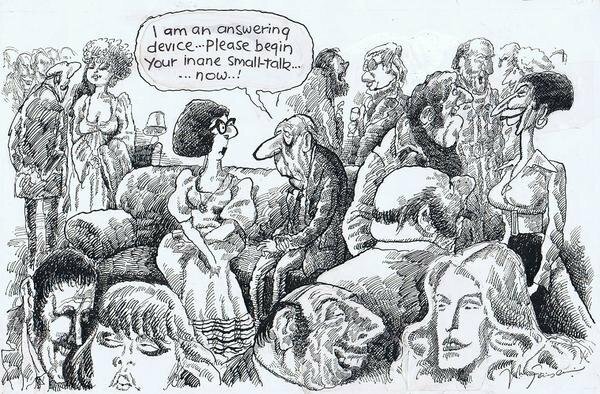 He worked for Punch, the Daily Express, the Daily Sketch, the Sunday Dispatch, the New Statesman and the London Evening News, and in 1961 became political cartoonist for the new Sunday Telegraph. He also contributed to the Tatler and the Spectator. Jensen became a director and chairman of the Cartoon Art Trust. Jack Gibson and John Jensen were not mentioned when finally, on Sunday, a form of obituary, as opposed to a mere tribute, appeared, in The Sydney Morning Herald, written by Harriet Veitch, who trained on the Australian Women’s Weekly at a time when Mike’s columns were coming to an end. It was far from a complete record of Mike’s life, but at least it contained some of the detail I had been seeking. Yet, strangely, it did not mention how he died. I am one of those people who believe the denial of suicide is in itself the denial of a means of preventing suicide. That Mike took his own life was a fact which was published in the days following his death, and from news stories it made its way into his otherwise scant Wikipedia entry. The report of his suicide suggested that, even in his 70s, Mike had become increasingly depressed, feeling he had still much to offer as a sports commentator, but finding it impossible to have that fact recognised by anyone. I can well identify with the way he apparently felt. A few left standing: Alan Clarkson, another sports writer I worked with in Sydney in the early 1970s, passed away a few weeks ago. 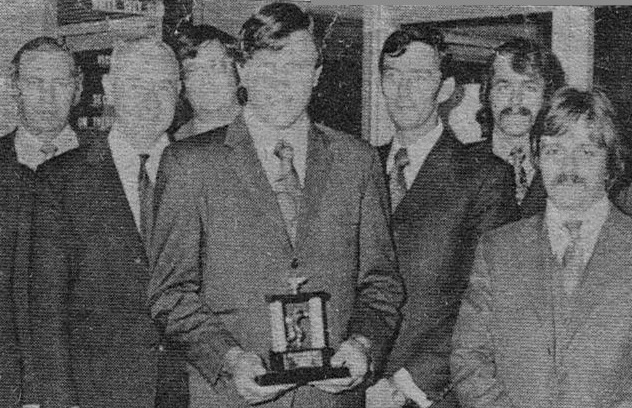 Next to him is Ernie Christensen (1918-1980), Ian Heads, Ron Coote, the late Bill Mordey, myself and Gary Lester. Mike Gibson wrote the words which went with this picture, making mention of "long locks and fine words". He might not have realised it, back in 1972, but I felt a close affinity with Mike and had my heart set on following his career path. He had started in print journalism as a cadet reporter with the Sydney Daily Mirror at age 18, in 1958, and in 1963 had taken himself off to Britain, following the Australian rugby league team’s tour there under Arthur Summons. He stayed in England for four years before returning to the Daily Telegraph in Sydney. Telegraph owner Frank Packer had recognised in Mike’s writing from Britain a potential “Australian Red Smith”, and assigned him to write a daily sports column for what was, back then, an extraordinary amount of money - $50 a column. Mike wrote this brilliant and engrossing column seven days a week, including in the Sunday Telegraph, until Rupert Murdoch bought both Telegraph mastheads in 1972 (he merged the Telegraph with the Mirror in 1990). That $350 a week was probably close to three times what I earned, even as a 23-year-old A-grade sports journalist with a weekly sports column in the national daily, but I also had plans to venture overseas and enhance my reputation, and my pay-pulling power. In my case, almost eight years Mike’s junior, I had made the same sort of start in newspapers, at a similar age, and aimed to follow the 1972 All Blacks to Britain, nine years after Mike had attached himself to the Kangaroos. But my big break came in Ireland, and I stayed there for the rest of the decade. During that time I lost touch with Mike, but caught up with him again while we were both covering the 1988 Seoul Olympic Games. Before all that happened, however, I had become deeply influenced by Mike’s writing. Veitch's obituary said he treated journalism as "a career in entertainment", which is only partially true. But he did follow the late Maurie Carr's dictum that journalism should always be as entertaining as it is enlightening. One comment to a tribute to Mike following his death came from fellow sports historian Malcolm Andrews, who mentioned the same two Gibson columns I most fondly remember. One concerned him being confused with a far more famous (at least in rugby playing terms) Mike Gibson when he went to try out for the London Irish club (they did both have fair, curly hair, but one’s rugby playing ability was sublime, the other’s just fair to middling). Red Smith he might have been, but George Plimpton he was not. The other column wonderfully ridiculed the preponderance of much lesser sports writers in being forced to concentrate their efforts on injury stories. Mike used the contrived but clever tool of “interviewing” the dicky knee of Manly player Mal Reilly to make his point so beautifully. I regard what has happened here as a lesson to us all, a reminder that printed material is a record of history and that quickly produced online tributes, completely lacking in any substance, should never be regarded as a substitute for that. But I guess as someone who feels death is just around the next corner, I might be more sensitive about this than most.